If you love birds, you should definitely make some interesting bird feeders and bird houses that will make the birds come in your yard. You need to maintain the feeders and the houses, if you want to keep the birds active all year round. 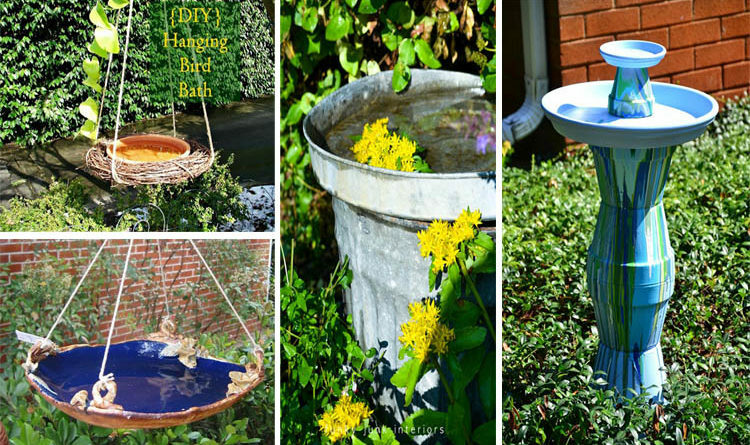 The bird bath designs that you will see below are very sophisticated, fun and easy to make and can be great decors to any space.